The L-PAD 16CX USB is a 16-channel, 4-bus mixer with 10 Mic/Line, 4 Stereo Input, 4 Group out, EQ, 6 single-control compressors and internal effects, for any live performance reinforcement. 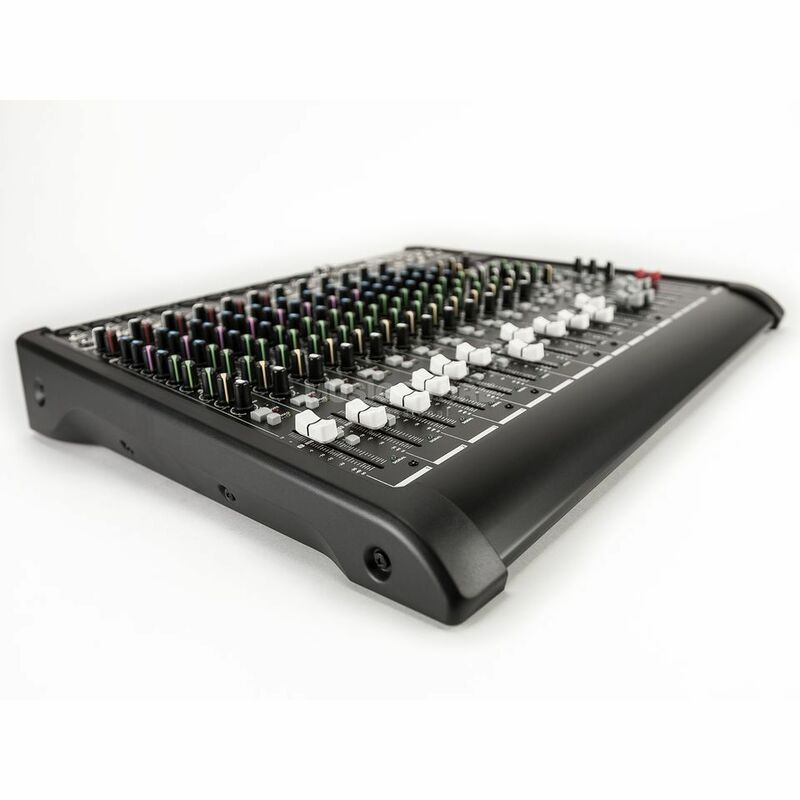 It features 10 transparent sound ultralow noise microphone inputs with balanced XLR connector, or alternatively 8 mono line input with insert send/return, a three-band EQ with a sweepable mid frequency on 8 channels, 4 channels of stereo inputs with 4-band fixed EQs, and 4-group assignable sub mixes, 60mm long-live extra smooth faders and four AUX sends per channel (2 Pre/Post switchable pots). The L-PAD 16CX USB gives you the all the features you need to mix any professional live performance.